If you’re looking to make a statement on your big day, grab a pair of wedding earrings that wow! Brides these days incorporate bold earrings of all shapes and sizes to complement and elevate their gowns, veils and hairstyles. 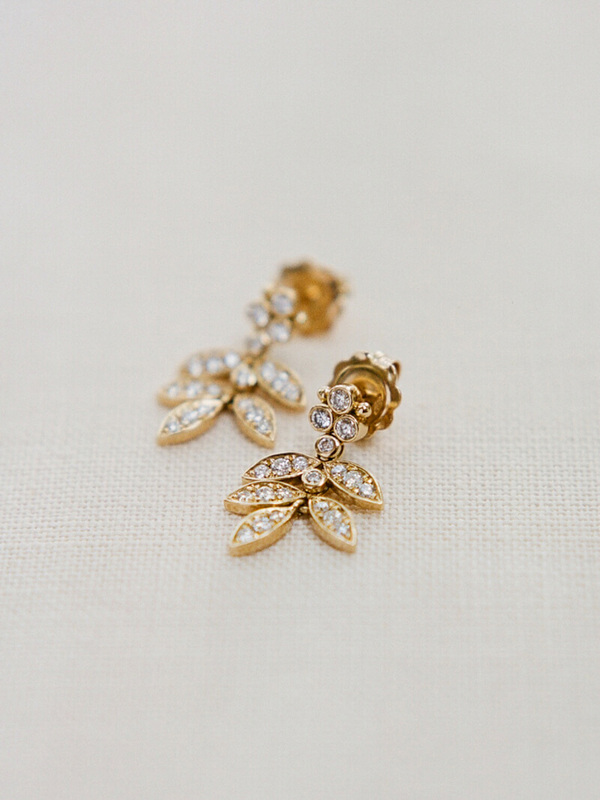 From chandeliers to studs, eye-popping earrings have a place in bridal fashion. These gold chandelier earrings feature rows of crystals that add a pop of sparkle to their leaf-inspired design. Thanks to pearls and crystals, this intricate pair is perfect for any wedding day. Wear with a sophisticated updo to show off the glamorous accessory. For a modern bride with a bold vision, these chunky gold statement earrings are a showstopper. With just enough sparkle for a luxurious touch, these earrings would look fabulous on a bride with luscious curls. For another spin on leaf-inspired jewelry, these dangling beaded earrings are dainty with a subtle sparkle. Their delicate appearance would pair nicely with a lace-inspired look. For boho brides who love a little color, these turquoise-colored earrings are a stylish choice. Long gold strands and the striking blue gems let you add your own personal touch to your bridal look. The great benefit of statement wedding earrings is that they allow you to project your personality as loudly or as softly as you wish. Big and bold, or small and sophisticated, you can’t go wrong by picking something that speaks to you. Head to toe – and even ears – you’ll wow everyone on your big day.